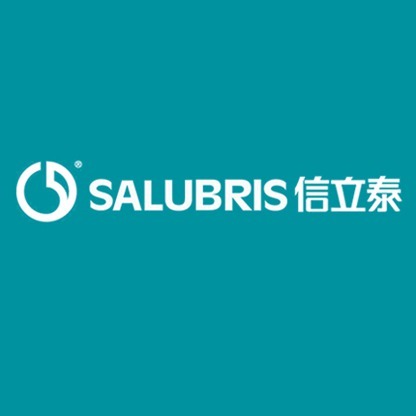 SHENZHEN SALUBRIS PHARMACEUTICALS CO.,LTD [CN/CN]; 37F Main Tower, Lvjing plaza, Che Gong Miao, No. 6009 Shennan Road, Futian District Shenzhen, Guangdong 518040 (CN). Provided is a preparation method for high purity clopidogrel and salt thereof. In the present method, inorganic acid solution is used to wash an organic phase containing clopidogrel till a specific pH value range is reached; during the post-processing stage, impurities including TTP can be removed from the clopidogrel product. The ensuing refining step can be avoided, thereby simplifying production techniques and ensuring the quality of the clopidogrel product. 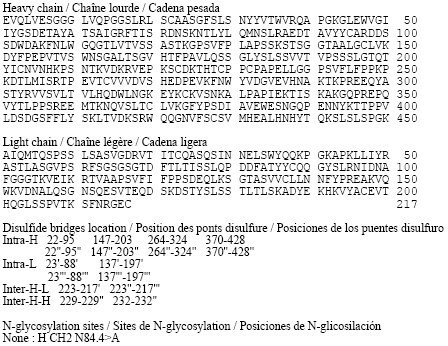 Clopidogrel, molecular formula: C 16 H 16 ClNO 2 S, it is an inhibitor of induced platelet aggregation by inhibiting platelet aggregation reduces the chance of arterial obstruction, to prevent stroke and heart attack efficacy, and can effectively treatment and prevention of atherosclerosis. Clopidogrel clinical use for right-handed body, clinical sulfate administered in the form of finished products on the domestic market clopidogrel main Plavix (Plavix) and Techno. 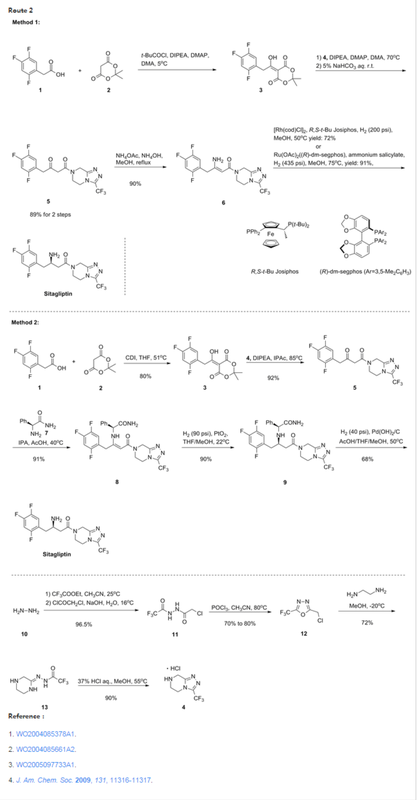 Currently it reported a variety of synthetic methods clopidogrel or a salt thereof, may be optically active or racemic α- substituted-o-chlorophenyl-acetate as a raw material, and 4,5,6,7-tetrahydro-thieno [3, 2-c] pyridine or a salt thereof under basic conditions to afford the optically active or racemic clopidogrel or a salt thereof, and further in line with the preparation of pharmaceutically acceptable Clopidogrel sulfate API standards. Chinese Patent CN200810142388.3 using α- dextrose substituted benzenesulfonic substituted-o-chlorophenyl-acetate prepared above dextrorotatory clopidogrel free base, the process with ethyl acetate as the reaction solvent, followed by treatment using the organic phase washed with water The method of removing impurities. Chinese Patent CN201310167933.5 prepared using the above racemic Clopidogrel hydrochloride, the method with dichloromethane as the solvent, after the reaction was washed with water and the organic layer was evaporated to dryness, the salt in ethyl acetate to give the product. If the above process synthesis optically active or racemic clopidogrel or a salt thereof, the reaction system there is usually residual starting material 4,5,6,7-tetrahydro-thieno [3,2-c] pyridine (referred to as “TTP “) or a salt thereof, according to the method disclosed in the prior art, after the treatment of the synthesis process commonly used water extraction – water / weak alkaline solution washed – salt-forming method, since the same TTP and clopidogrel alkaline organics neutral or alkaline solution solubility difference, and is in an acidic solution with a salt, and therefore only the wash water or weak alkaline solution generally can not be divisible TTP, usually larger residues. Due to the special nature of clopidogrel API, making it even within the scope of quality control requirements of the quality standards, there are still unstable phenomenon. In the standard range of high impurity content on the one hand it can significantly affect the stability of the product, on the other hand will increase the side effects of the subsequent steps. Thus, the prior art is usually removed after the reaction by purification methods such as recrystallization include TTP including impurities, but it will increase the preparation process, in addition to loss of product due to some of the products will remain in the mother liquor caused. From the above, in a more convenient way to remove impurities, higher purity, better stability of clopidogrel and its salts are existing technology is not yet resolved. The present invention is a departure from the deficiencies of the prior art, provides a method for preparing high purity clopidogrel and its salts, which can be removed after the treatment stage the majority of clopidogrel impurities in the product, avoiding the subsequent refining step In simplifying the production process, while ensuring the quality of clopidogrel products. China Patent CN201310167933.5 using the method disclosed in Example 19 preparation of racemic clopidogrel. In TTP and α- bromo-o-chlorophenyl acetate The reaction was refluxed for 4h after the organic phase was separated, the methylene chloride solution of racemic clopidogrel. With stirring was added 5% hydrochloric acid (pH approximately 0), the aqueous phase until the pH stabilized around 4. The phases were separated and the organic phase the solvent was evaporated under reduced pressure, 75ml of ethyl acetate was added to dissolve, added dropwise with stirring 6.6g 36% hydrochloric acid to precipitate crystals. 2h After filtration, the filter cake washed with ethyl acetate. After drying in vacuo to give 17.2g white crystals. Using the same test conditions and CN201310167933.5 testing product purity of 99.8% containing impurities TTP 0.011% (area normalization method). China Patent CN201310167933.5 using the method disclosed in Example 19 preparation of racemic clopidogrel. In TTP with α- bromo-o-chlorophenyl acetate reflux 4h reaction after the separation of the organic phase. The organic phase the solvent was evaporated under reduced pressure, 75ml of ethyl acetate was added to dissolve. 5% hydrochloric acid was added with stirring, until the aqueous phase pH stabilized around 3. Phase, the organic phase was added dropwise with stirring to 6.6g 36% hydrochloric acid to crystallize. 2h After filtration, the filter cake washed with ethyl acetate. After drying under vacuum to give 17.0g white crystals. Product purity was 99.7% containing impurities, TTP 0.014% (detecting method as in Example 1). The TTP hydrochloride 26.4g (0.15mol), ethyl acetate 50ml, 80ml mixing water and potassium carbonate 22g, stirred for 20 minutes. Joined by R-α- methyl tosylate Chloromandelic 34.1g (0.1mol) mixture of ethyl acetate and 50ml solution. The reaction temperature was raised to 45 ℃ 4h, then the reaction was heated to 60 ℃ to R-α- methyl tosylate Chloromandelic completely consumed (about 3h). Cooled to room temperature phase. The organic phase was added with stirring to a 5% aqueous sulfuric acid until the pH of the aqueous phase is stable at around 3. After stirring 10min static phase separation. Then dried over anhydrous magnesium sulfate, and evaporated to dryness to give 30.6g dextrose clopidogrel hydrogen sulfate. Purity 98.6% by HPLC, spectrum display free of impurities TTP.